Stephanie Cannon-Jones, a senior policy analyst at The Hilltop Institute, is responsible for analyzing Medicare, Medicaid, Minimum Data Set (MDS), and LTSSMaryland data to determine Medicaid nursing home, home and community-based waiver services, and state plan services expenditures and utilization. 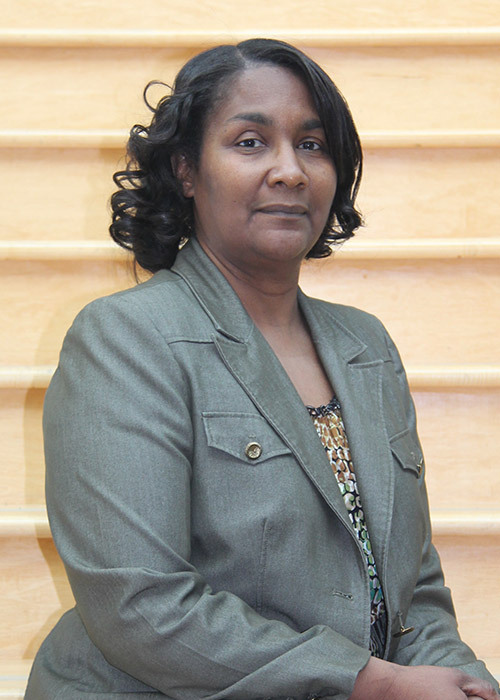 She is currently serving as the subject matter MDS clinical consultant for the Maryland Health Care Commission’s (MHCC) MDS 3.0 Consultant project for which Hilltop updates and maintains a SAS-based MDS 3.0 data management and reporting tool. Information that is generated from this system is posted on MHCC’s website for consumer use. For this project, Stephanie also monitors local and national Medicare and Medicaid policy changes, as well as modifications to the MDS items to identify changes that may affect the reporting tool. Under this project, Hilltop also maintains and updates the SAS-based data management and reporting tool for MHCC’s annual Long-Term Care Survey. She is also currently working on a series of chart books—an annual analysis of Medicaid expenditures and service utilization for nursing facility residents and participants of selected 1915c Medicaid waiver programs. In recent years, MDS and LTSSMaryland data have supplemented the Medicaid data to provide a more holistic picture of the populations Hilltop serves. Stephanie also manipulates Maryland Medicaid data to complete semi-annual and annual reports on the states’ progress in meeting its MFP goals, 1915c waiver quality assurances, and cost neutrality estimates. She recently worked with staff at a local health clinic on a project designed to determine to feasibility of implementing a computer-based alcohol screening and intervention tool into the primary care setting. As a follow-up to this, she led a project to provide statistical analysis for data resulting from a clinical trial for a computer-based alcohol-related intervention. Stephanie also worked as a focus group moderator and key informant interviewer for the Medicare Acute Care Demonstration program evaluation. The demonstration tested the use of a “bundled payment” for a cardiac or orthopedic inpatient surgical episode of care as an alternative payment methodology. Previously, Stephanie was a research analyst for the Maryland State Lottery Agency, where her responsibilities included conducting statistical analyses, analyzing survey data on customer satisfaction, and assisting in agency-wide strategic planning. She also monitored focus groups commissioned by the lottery. Before that, she was a data processing quality assurance supervisor at the Motor Vehicle Administration and held a managerial position in management information systems with Good Shepherd Center and Friends of the Family Inc.
Stephanie earned her MPS (master of policy sciences) from UMBC and her BA in sociology from Delaware State University.